We’re so glad that you came to our website! 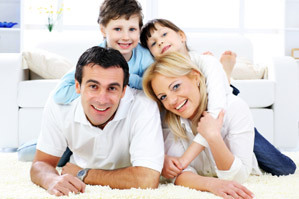 We are a friendly and family-oriented practice. We make an effort to work with everybody in the family, from infants, all the way to grandparents. Because we work so much with entire families, we develop great personal relationships with all of our clients. We learn how to make each of our patients feel as comfortable and relaxed as possible. We also provide individual care for all of our patients. When you’re scheduled to see us in our office, we give you full and complete attention. We don’t double book patients, and see two patients at one time, we give all of our attention and effort to just you when you’re sitting in our chair. We love the area and we love the people we serve. We want to get a chance to learn more about you and to serve you with the greatest dental care available. Please take some time to browse our website and learn more about how we can help fulfill all your dental needs. Be sure to give us a call if you have any additional questions, or if you would like to schedule an appointment.